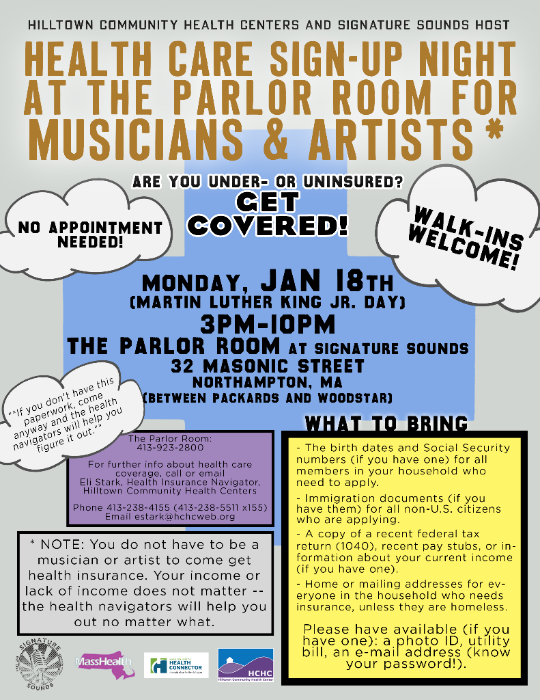 Signature Sounds is hosting a Health Care Sign-Up NIght for Musicians and Artists on Monday, January 18th. More information below as well as via the link above. Walk-ins encouraged! Easthampton residents (and anyone else) check out these ten things to inspire you in 2016 from Easthampton City Arts+. I'll be stage managing the upcoming Academy of Music production of Annie Baker's UNCLE VANYA. 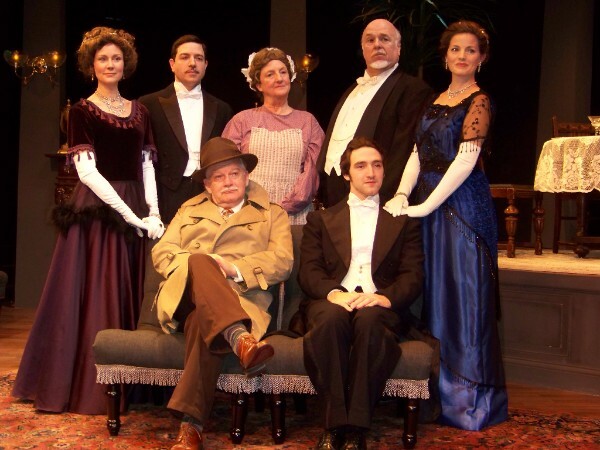 We begin rehearsal on January 25 and the performances are March 4 and 5. I'm looking for an Assistant Stage Manager for the show. It's a great opportunity to work on a phenomenal professional production at the Academy. And with me! If you are interested, send me an email! 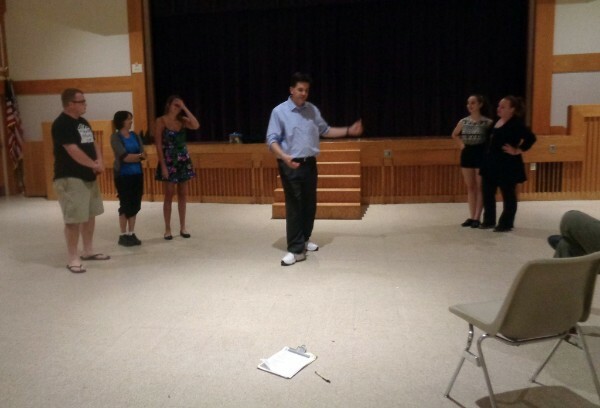 From the article: From 2012 to 2015, I taught acting, directing, and theatre for social change at Hampshire College. Hampshire students are passionately committed to social change and the college has been a hub for activism and visionary thinking since its inception. 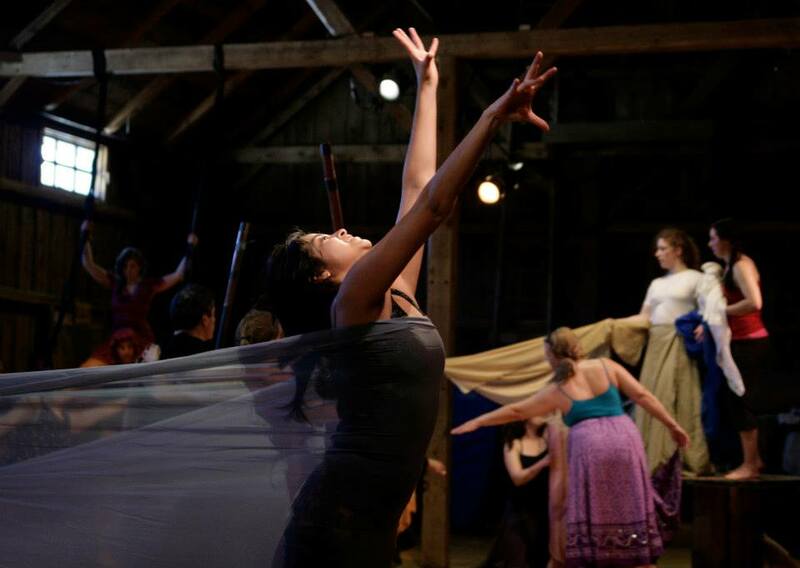 The Theatre Program aims to teach traditional disciplines (design, playwriting, etc.) alongside theatre for young audiences, the theatrical jazz aesthetic, site-specific design, documentary drama, and courses about interdisciplinary artists whose work redefines identity and the way we see. 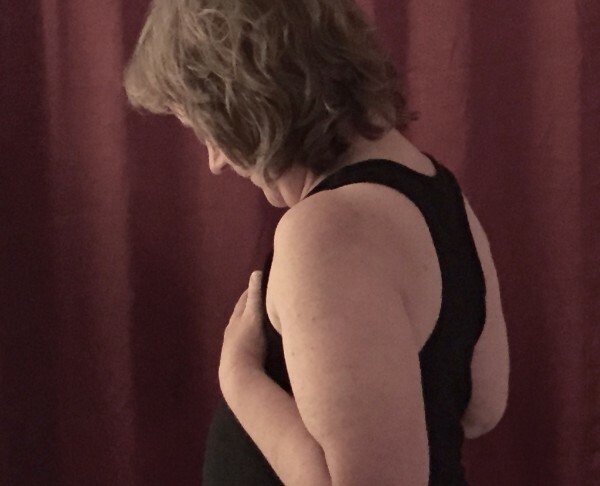 One woman's determinedly truthful exploration of body image and sexuality after double mastectomy. Intimate monologues are juxtaposed with wry humor, song, and movement. Anyone with a body will find something to relate to in this piece. One of this year’s Double Take Fringe Festival favorites as a staged reading, BREASTLESS is being given a full production at Pauline Productions directed by Jeannine Haas. Advanced Sales Recommended as seating is limited, buy tickets online. 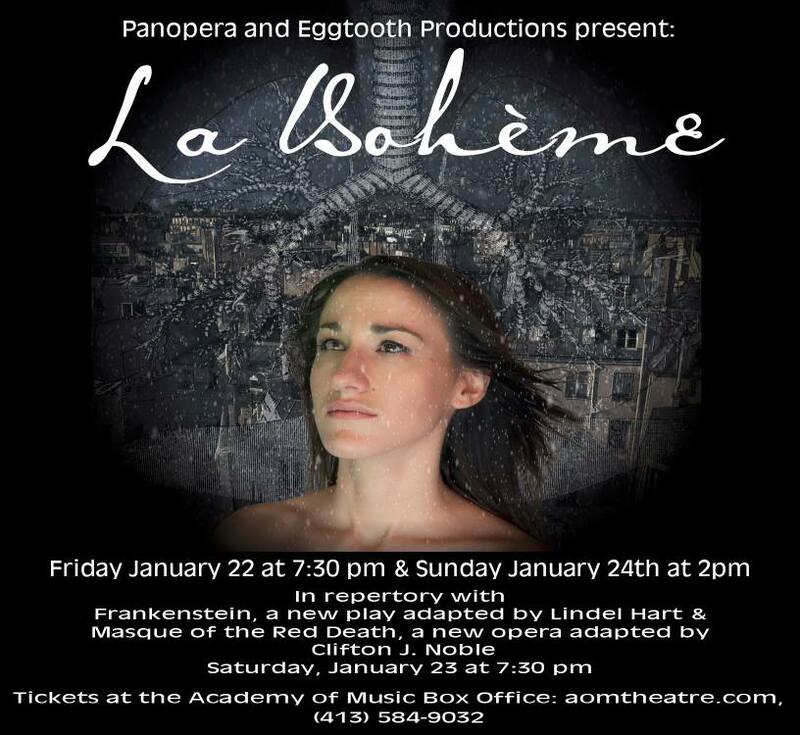 La Bohème runs in repertory with Frankenstein and Masque of the Red Death. Eggtooth Productions’ (formerly Old Deerfield) commission of the new play, Frankenstein won glowing four and five star reviews at the Edinburgh Fringe Festival this summer, “It’s a hypnotic beginning to an intense adaptation of Mary Shelley’s novel. Lindel Hart’s Creature, at first naked and mute, grows in stature throughout, scrabbling towards humanity; tragically, his innocence is supplanted by evil as he learns to hate Victor Frankenstein. For Victor abandons the Creature, fleeing when he feels horror at the first sight of his creation. Hart’s performance dares you to look away – how he moves and the sounds he makes, ensures you won’t,” according to The Scotsman. More information on the Facebook Event. Tickets for both productions available online. For those interested in applying as stage director, please submit the following documents electronically to director@vlo.org by January 15. 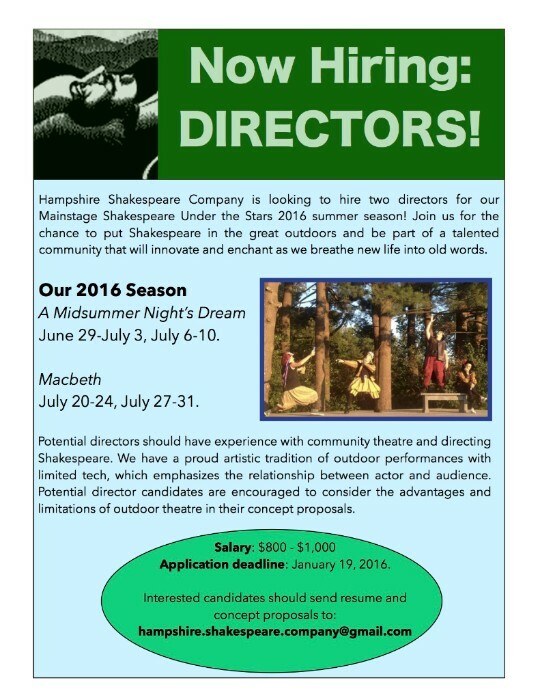 Applications will be reviewed as they arrive, starting immediately, and will be accepted until January 15, 2016. Finalists may be invited to make a presentation to the VLO board after that date. AUDITION for the 24-Hour Theater Project 2016! 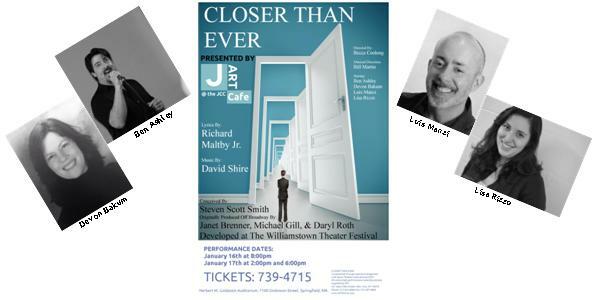 We perform six 10-minute plays, written, directed, and produced within 24 hours. The focus in our project is the playwriting– the scripts are 10-minute plays, not skits, and are performed as written; they are not improvised. We're looking for 5 - 10 actors to fill out our company. Actors in the Project work only one day, but it's a long, arduous, albeit fun, day. You must be able to commit to the date of Saturday, March 12 - from 8:00 a.m. to the end of the second show, approx. 11 p.m. Actors of varied ages- teen through elder, and of all ethnicities are encouraged to audition. Would you like to have your work on stage in some format at the Academy of Music Theatre to benefit the Arts? Here’s your chance! A showcase of the best local talent in the Valley’s favorite variety show at the communities’ most beloved theater. Win prizes! See your friends and loved ones display their talents! Send your ideas for The Really Big Gong Show to ssanderson@northamptonma.gov with subject: RBGS 2016 Entry or call (413) 587-1247 and leave a message for Steve Sanderson. Those who register for this class are also invited to the jam workshop January 4th for free! 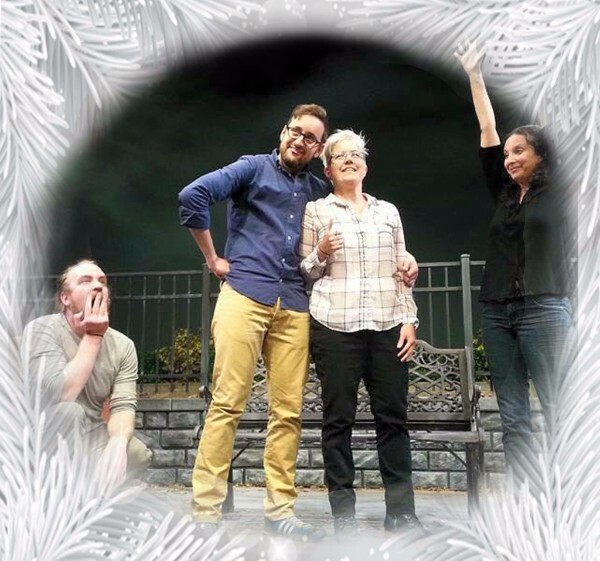 Phantom Sheep is Western MA's own professional troupe of writers and performers. They have been teaching improv and have produced shows for Six Flags and many area libraries and schools together for over 15 years. Great and useful post! I think that going to the theatre is a good idea to refresh the relationship! I read another good article https://kovla.com/blog/how-to-breathe-new-life-into-the-old-relationships/ where you can find another advice! Read it too, this words can inspire you!